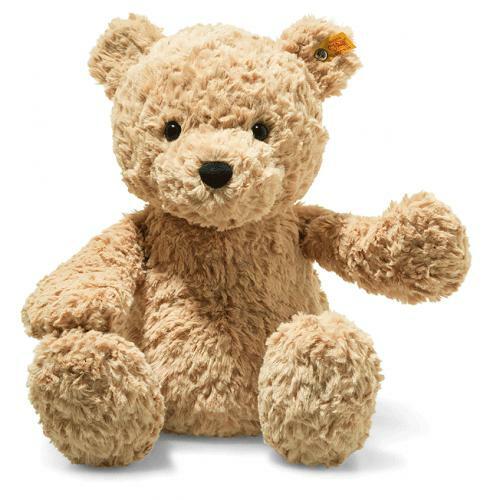 Steiff Jimmy Teddy Bear is made by hand, in the finest light brown cuddly soft plush. Jimmy Teddy bear measures 40 cm and its smiling face is great to put the smile back on a child's face when comforting and snuggling are needed. The wavy and beautifully soft plush fabric is light brown. The cute black nose and smiling mouth are embroidered in black stitching. A bean bag is sewn into its bottom to provide support. There are also bean bags in the arms and legs.